At Canyon Ridge Pediatric Dentistry, we perform a variety of routine dental procedures that can help your child’s teeth and gums remain healthy for a lifetime. Dr. Marc Thomas prefers to see patients twice a year for a routine teeth cleaning and dental exam. This is the best way to prevent cavities and gum disease. If your child has not been to the dentist in a while and is concerned the appointment may be uncomfortable, do not worry. We are a Parker, CO gentle dentistry office and can help to keep your child comfortable during the appointment. Teeth Cleanings. 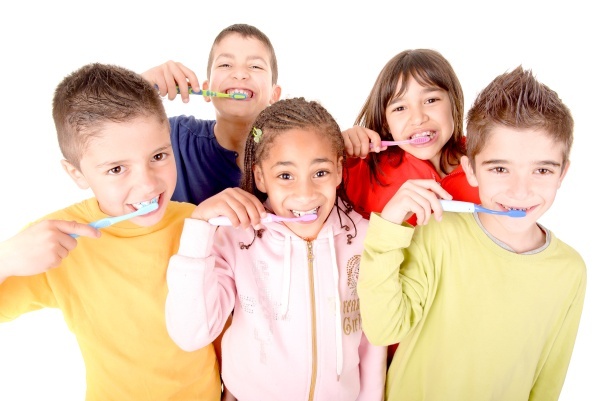 In order to prevent cavities, your child needs to keep his or her teeth clean. Daily brushing and flossing are an important part of keeping your child’s teeth and gums healthy. Unfortunately, it can be difficult to reach all of the areas in your child’s mouth alone. This is why your child needs to visit the dentist for a professional teeth cleaning twice a year. We can remove the plaque that has formed on the teeth, between the teeth and along the gum line. This is not just important for preventing cavities, it also prevents gum disease. Since gum disease is typically caused by plaque becoming trapped under the gums, a professional teeth cleaning will help to prevent it. To schedule your appointment, call (303) 390-5183. 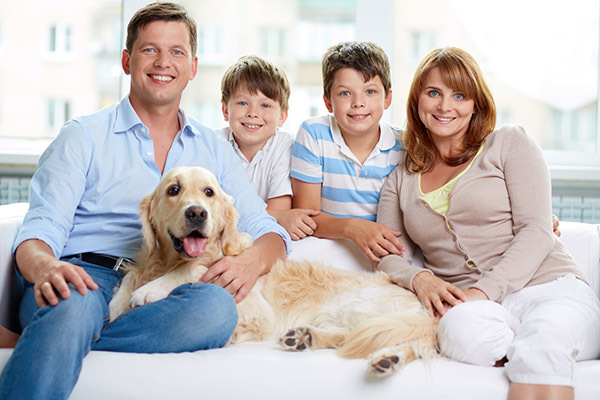 We are confident that your child will have a pleasant experience. Deep Cleanings. Gum disease creates the need for a deep cleaning. During this procedure we will remove the plaque and tartar that has built up underneath the gums. Once done, your child’s gums will begin to feel better. To determine if your child needs a deep cleaning, schedule an appointment at our Parker office. Fluoride Treatments. In addition to keeping your child’s teeth clean, we can also strengthen them. When your child eats, he or she could be gently stripping away tooth enamel. Foods that are acidic and drinks, like soda, have a low pH level and can actually dissolve the dentin in teeth. Cola products, for example, have a pH level closer to battery acid than they do to water. By consuming harmful products without proper dental care, your child’s teeth can gradually become weaker and more susceptible to decay. The most efficient way to prevent decay is through strengthening the teeth. A fluoride treatment is one way to do so. We can apply fluoride to teeth in a matter of minutes. There is no irritation and the minerals in Fluoride will strengthen the teeth enough to reduce the risk of cavities by 30 percent. If you live in Parker, CO, we encourage you to schedule an appointment for your child’s fluoride treatment today. Dental Sealant. One of our routine dental procedures is applying dental sealant. A sealant is a clear, plastic-like material that we gently brush onto the patient’s teeth. At Canyon Ridge Pediatric Dentistry, we recommend sealant for people that have deep ridges on the chewing surfaces of their teeth. Some people are born with teeth like this, while others develop deeper ridges over time. These deep ridges are prone to trapping food and being difficult to clean. As a result, plaque can form and begin secreting acid that causes tooth decay. The best way to combat this is to seal the ridges so that nothing can become trapped there. The procedure only takes us a couple of minutes per tooth. Making the procedure quick, easy, affordable and an excellent way to reduce the risk of developing cavities. Teeth Whitening. Tooth whitening is an incredibly popular dental procedure for patients, providing a fast and affordable way to improve the appearance of their teeth. It is perfectly natural for teeth to become dull, yellow or stained with age. As a result, people in their early 20s regularly whiten teeth. The whitening solution is placed on the teeth, penetrating the enamel and starting the process of oxidization. Then the molecules inside of the teeth change to reflect less light, appear colorless and give the teeth a bright white appearance. If you have an important event coming up, call 303-390-5183 to schedule an appointment with Dr. Marc Thomas, and discuss this procedure in further detail. Dental Bonding. When it comes to routine dental procedures, dental bonding is one of the most widely used solutions for improving the appearance of teeth and restoring damaged ones. At Canyon Ridge Pediatric Dentistry, we can use the bonding material to restore a tooth that has been cracked or chipped in an accident. We can also use the bonding material to close gaps in between teeth, change the shape of teeth, cover dark stains and make them appear better in general. As an added benefit, we can complete the bonding procedure in one visit to our dental office. After selecting the right shade, we prepare the tooth by roughening it up slightly and then place the bonding material on top of it. We then shape it into place and harden it. 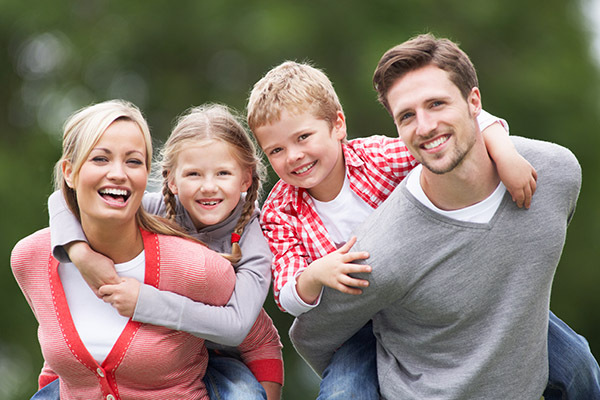 By the time you are ready to leave, your child will have a fully restored and naturally beautiful tooth. Dental Crowns. If your child has suffered extensive damage to a tooth or is missing a large amount of enamel due to infection, he or she may need dental crowns. A dental crown is a cap that surrounds the tooth and is a more extensive dental restoration. It can be made of a tooth-colored resin or porcelain to appear natural. We can place crowns on either a front tooth or back molar. Dental crowns are used to restore a tooth that has been cracked or chipped, and when we cannot restore the tooth with a veneer or bonding due to the location of the tooth. Check out what others are saying about our dental services on Yelp: Dentist Parker. Another type of routine dental procedures that we perform at Canyon Ridge Pediatric Dentistry, is dental bonding to fill in the gaps between teeth. We also treat patients using dental bridges and dental crowns. To learn more about our solutions, call (303) 390-5183. We are conveniently located in Parker, CO and are currently accepting new patients.